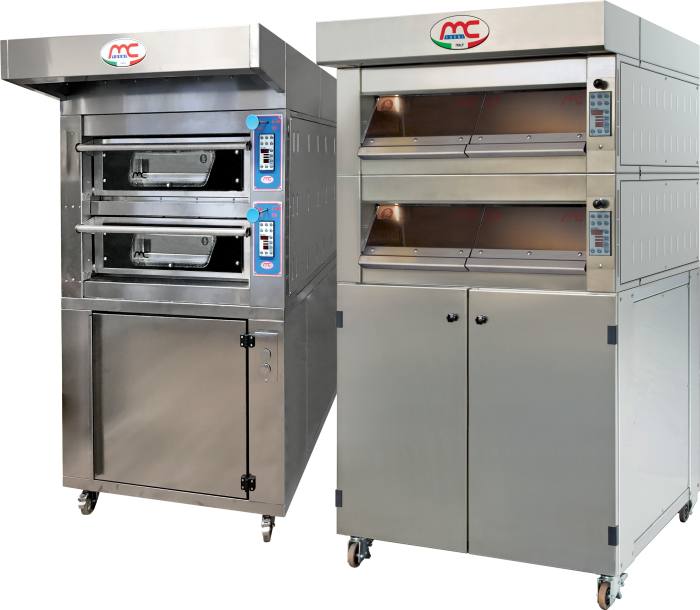 The modular electric oven is manufactured with the same features of a bread oven. 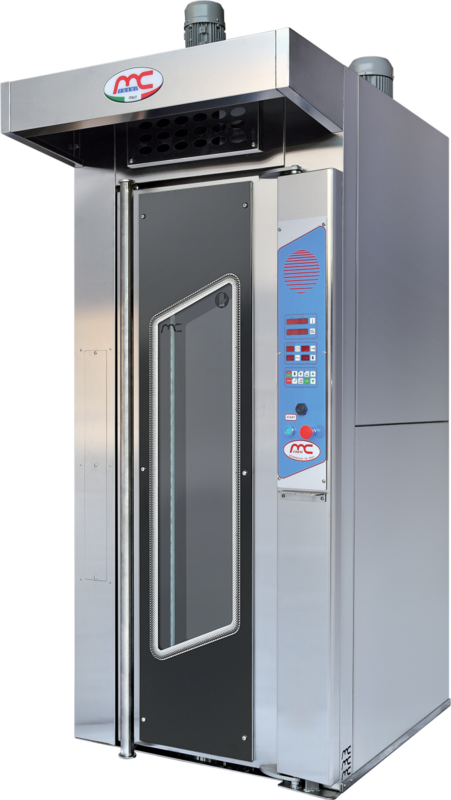 Electrical equipment under thermo controlled ventilation to avoid humidity and high temperatures. 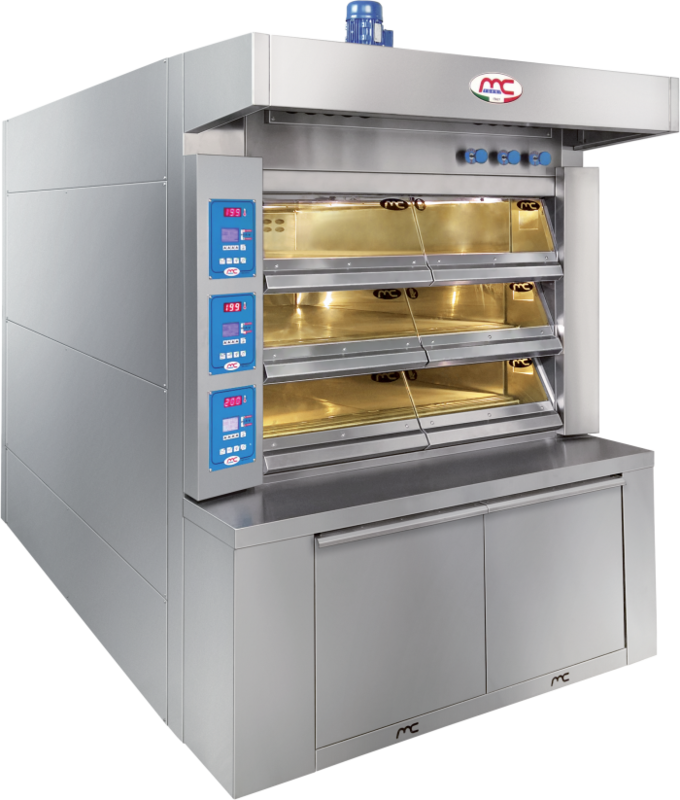 • Armored heating elements in stainless steel with very small spaces between them. Baking plate is made of cement silicon suitable for cooking food. 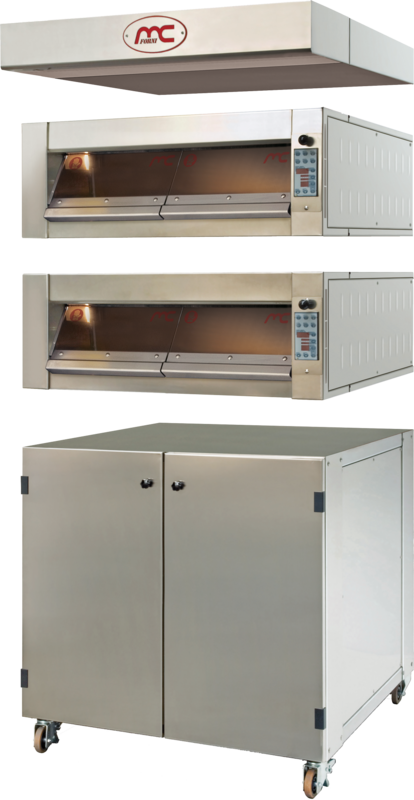 • With neutral proofer of heated. 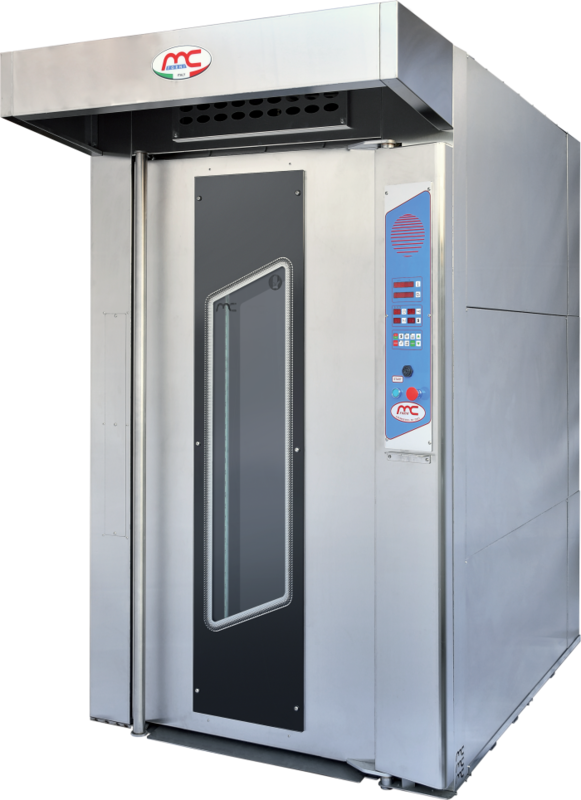 • Steam hood with aspirator. 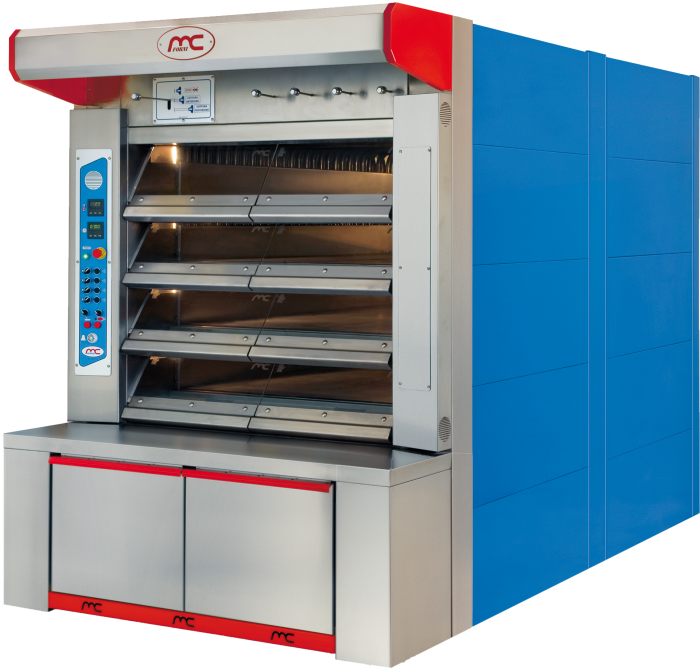 Oven assembled on wheels as standard. 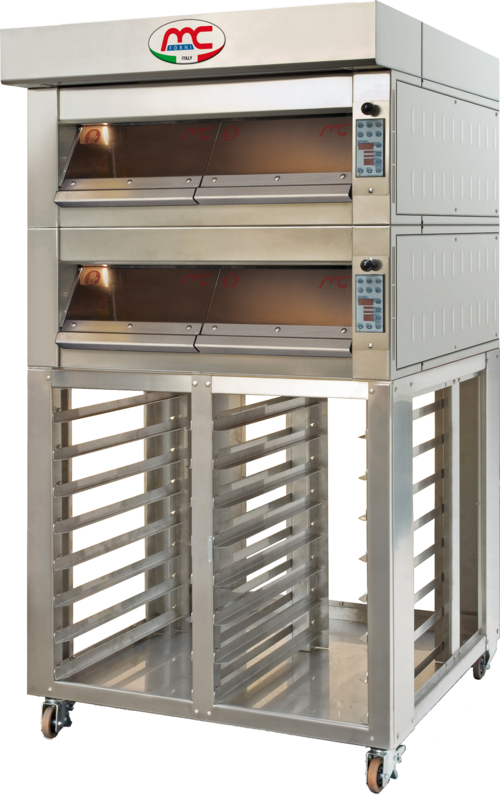 The oven can be installed on proofer or on open support with or without slide pairs for trays.